New graduates from Generation Kenya program join a growing alumni network of talented workers that is now nearly 8,000 strong. 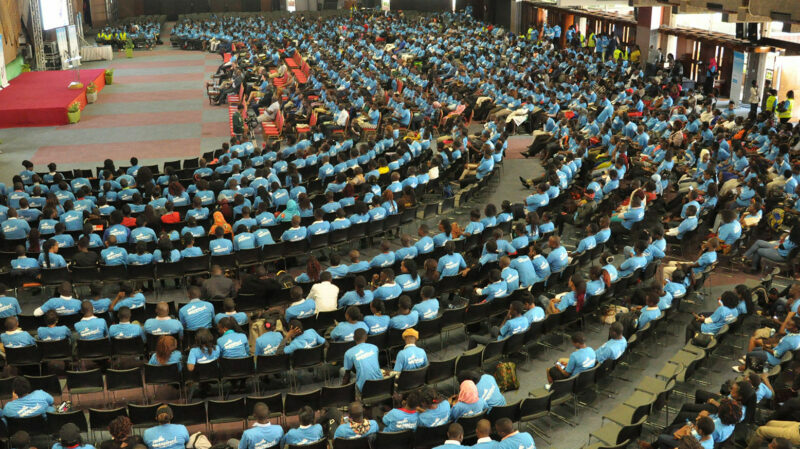 About 4,000 students celebrated their graduation from Generation Kenya today, many of whom are already putting their new skills to use in career-launching jobs. Generation, a not-for-profit organization, recruits, trains, and connects young people who are unemployed or underemployed with jobs—and provides employers with the entry-level talent they need. The ceremony held on Friday February 23rd, 2017 at the Kenyatta International Conference Centre celebrated the sixth group of students to graduate from the Generation Kenya program. Generation works closely with employers to ensure the curriculum provides students with the skills they need to be successful on the job. Further to this, Generation also works with these employers to confirm available jobs for our graduates. With nearly 8,000 graduates to date, 90% of them have found employment with local companies that have partnered with the program with a 75% retention rate within six months. The employment program, which was introduced in Kenya in May 2015, is supported by USAID, East Africa Trade and Investment Hub and McKinsey & Company, and is uniquely designed to take students through practical training focusing on different sectors such as financial services sales, retail, hospitality, consumer goods, customer service and apparel manufacturing. According to a recent report by United Nations Development Program, the 2017 Human Development Index, 40% of Kenyans are unemployed, 80% of whom are below 35 years of age. Generation addresses such acute needs. “There is definitely a mismatch between graduates coming from our tertiary education institutions and labor demand. The world is now a global village powered by technology and driven by information; our human resource needs to be in sync with these fast changing trends,” said Johnson Sakaja, the Senator, Nairobi County. In 2017 Generation started working with TVETs, providing them with a best-in-class curriculum and methodology for training young people for employment, seeking to increase the impact of skills training and raise the size of our skilled workforce here in Kenya. “Currently we are partnering with 6 private and 2 public TVETs. 633 of our 2017 graduates are from our TVET centers. 91% of these TVET graduates have been placed with various employer partners,” said Kartik Jayaram, a Senior Partner at Generation Kenya. Generation Kenya conducts the training in 35 training centers spread across 17 towns and cities with plans to expand to all counties in the country. The majority of those who participate in the program are secondary school leavers who have struggled to find work. They undergo a 4-8 week long intensive training in a particular profession, and then are guaranteed an interview with one of our various employer partners.